All transactions are safe and secure with a reliable history in online purchasing behind each of our associates. Buy the Transformers Costumes to own Transformers clothing and merchandise. The 2009 Transformers live-action movie directed by Michael Bay uses CGI to create Transformer characters, including Bumblebee, Starscream and Megatron. 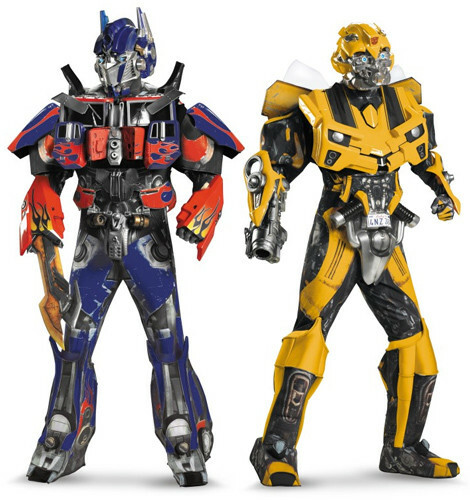 Embody your favorite characters from the movie with Transformers costumes that include Optimus Prime and Bumblebee costumes. Give this piece of merchandise as a gift with the Autobot Transformers t-shirt available in the gallery, or buy the classic Autobot symbol on Transformers sweatshirts. Wear them over Starscream tees. In addition to the Transformers Costumes above, browse the Transformers Clothing Gallery for more apparel like men's and women's clothes, kids shirts or hoodies.